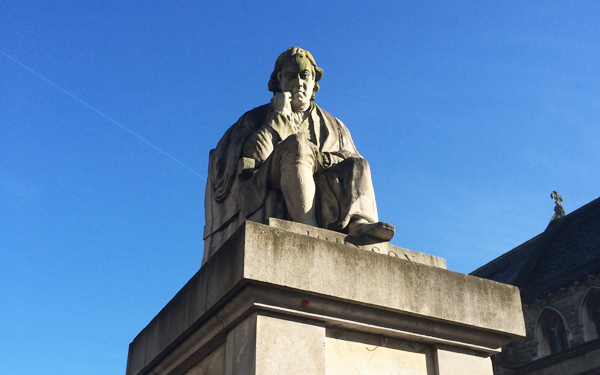 First a bookseller and compiler of the first English Dictionary Dr Samuel Johnson was born in Lichfield (now Dr Johnson’s museum). 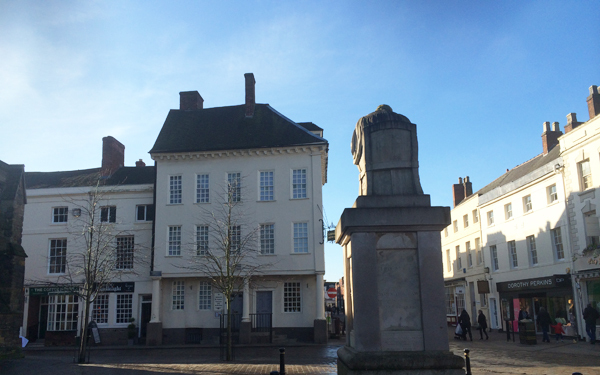 Here at the market square facing his home and in front of St Mary’s Church he sits upon his chair with all his volumes underneath him, deep in scholarly thought. Sculpted by Richard Cockle Lucas in1838 this Ashlar stone sculpture reminds us of the life of Johnson. 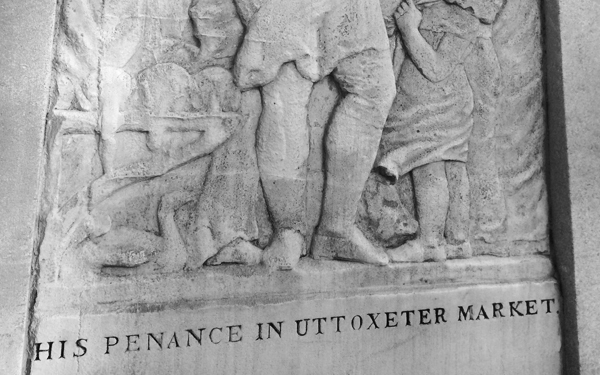 Upon the tall plinth reliefs may be seen that show aspects of the authors life, when he sat upon his father’s shoulders listening to Dr Sacheverel from the Cathedral preaching, Samuel as a young schoolboy at school, and at Penance in Uttoxeter market (where his father wanted him to work at his market stall). 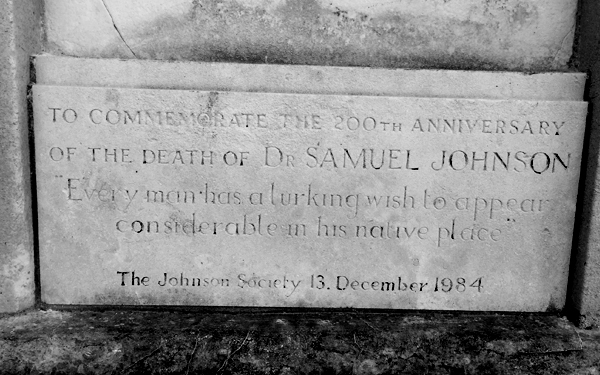 A plaque also commemorates Dr Law who granted the statue as a gift to the City and there is also a commemoration of 200yr anniversary of Johnson.